One of Supercars’ longest-serving partners, Supercheap Auto, has announced it will extend its naming-rights deal of the Bathurst 1000 until at least 2020. Supercheap Auto this year equals Hardie Ferodo as the longest-running major partner of the famous race with 13 years, dating back to the first Supercheap Auto Bathurst 1000 in 2005. Supercars Chief Executive Officer, James Warburton, was joined by Supercheap Auto Chief Operating Officer, Chris Wilesmith, on the grid at Mount Panorama this morning to make the announcement. 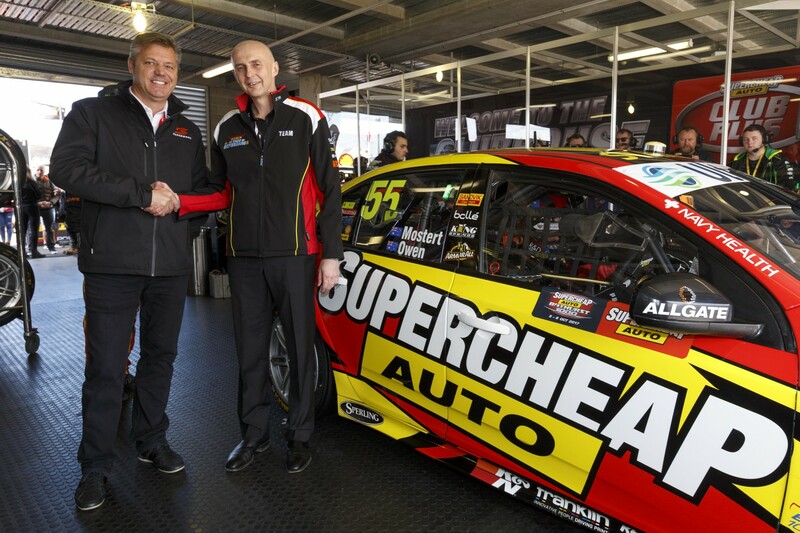 “We’re very proud to announce that this deal will take the partnership between Supercars and Supercheap Auto through to a 16th consecutive year,” Warburton said. “This partnership isn’t just one of the longest in the history or our sport, but one of the longest consecutive sponsorships of any sporting event in Australia. “Supercheap Auto connects with fans through their now entrenched marketing campaign ‘Happy Bathurst Day’ which dominates the country leading into the race. Wilesmith, says his company was thrilled to continue its support of the great race. "We are proud to be partnering Supercars supporting this great event for the 13th consecutive year, and are excited to continue the partnership for another three years,” he said. “Motorsport is in our DNA and there is no more important event on the motorsport calendar than the Supercheap Auto Bathurst 1000. “It is an event with a powerful heritage, one which creates legends and writes history.